Did you just get a new Android Smartphone and you keep searching your Play store and other App markets for good Applications to download, but you keep downloading only the boring and irrelevant Apps? If that's the case then this post you're reading will help you choose the most important Apps which you really need on your Android phone. 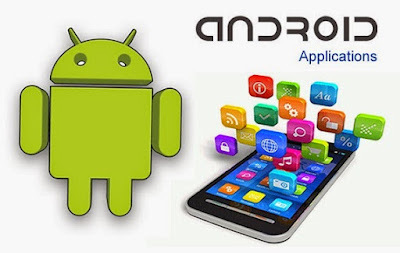 So, in order to help you discover the very best Android Apps on Google Play store. I have decided to share this awesome list. If you're looking for a better interface for your phone just because you're getting bored of the usual display, you can give Nova launcher a try. It is really unique with its amazing set of features, regular updates, and smooth performance. ES File Explorer has established itself as the ultimate free and full-featured Application in this category because It has all the basic functions you'd expect to see in a file manager (copying and pasting, quick navigation between folders with a side panel, and so on) without annoying ads, and it works smoothly across various devices. Advanced users would also know that ES File Explorer comes with all the features of Root Explorer, meaning that once you grant ES File Explorer root permissions, you get to access apps at the system level and use drives in the cloud. Swift Key is an alternative swipe-based keyboard which makes typing faster on Android devices. The popularity of Swift Key has grown tremendously immediately the app was changed from paid to free. Swift Key allows you to customize your keyboard by choosing between tens of custom themes, but it is the speed of typing, as well as the rich language engine that recognizes your swipes and turns them into words that is the big highlight here. Unlike iOS and Windows Phone, Android allows you to customize pretty much every aspect of the platform, and we love the option to change all the icons on our device. The latest update to the Belle UI icon pack brings a set of beautifully drawn icons with a distinct round style that stands apart from the stock icons. You'd definitely love this icon pack. Phone geeks often argue on which one is the best between MX player and VLC player for android. For real, they are both great ! But MX Player has an edge over other video players because it has been around for years yet it remains a great video player. MX Player is the most used in Apps that require the use of video players, an example is that of Sybla TV which makes use of MX Player as its required video player. Sybla TV is an android App which makes it possible to watch live football matches and programs on your Android Phone. Also, MX player's swipe-based interface is tailor-made for touch devices: swipe left and right to skip backwards and fast forward; swipe up or down (on the right half of a device) to adjust volume, and swipe up or down on the left half to adjust brightness. The above apps plus your favorite social and instant messaging apps will really make your phone fun and lovely to use.